Leadership Activities For Social System: Force Or Maneuvers On The Margin? Influencing social change is a lot like landing an airplane. Imagine you are a pilot. You need to land an aircraft by either construing a process of approach and maneuvering on the margin, or instead by flying straight down to the landing strip. How would you do it? I ask this question a lot in my classes and among the leadership activities I do in my workshops, this is the one that is sure to cause a lot of discussions. Option 1: One approach is to descend the airplane using all the resources at your disposal, all your power and all the airplane parts – your rudder and so forth. 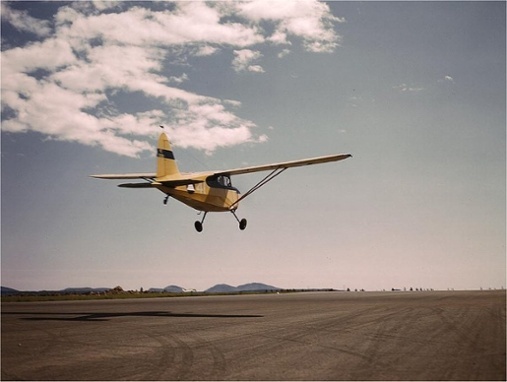 You fly the airplane with the sole objective of getting it to the threshold of the runway, just above stall speed so you can flare in and touch down smoothly. Option 2: pilot trainers tell their students that the more prudent and safer course of action is to circle around to do the approach again, because you should be “established upon approach.” Being established on approach well out from the runway threshold is to have the aircraft configured in position so that if you were to do nothing, the rate of descent and the orientation of the aircraft would allow it to arrive at the threshold of the runway just above stall speed – ready to be flared and landed smoothly. With the aircraft established on approach, you then are just making adjustments at the margin: adding a little power, doing some adjusting at the heading as needed and as circumstances change, such as when the wind comes up. In the second, safer example, you’re trying to manipulate all variable conditions so the system will unfold normally to where it wants to be, and then you’re managing at the margin. And you can apply exactly the same kind of thinking to countless other conditions, such as the development of a child: you can’t engineer the parenting of a child, but what you can do is create conditions that increase the likelihood that the kid will develop in a healthy way. Take management of the national economy: are we going to tinker with the money supply interest rates, like the Council of Economic Advisors says to do, or are we going to focus our attention on trying to strengthen the fundamental economic conditions to let the economy manage itself, and then make adjustments the margin? There are many examples of situations involving systems that could benefit from this approach: we try to identify the conditions, which when present increase the chances that the system will move toward the objective that is intended for it, and then make adjustments at the margin rather than try to engineer it and drive it in real time. When we are dealing with social systems (like teams, organizations, networks) it’s more helpful to think in terms of conditions, rather than causes. How does the idea of conditions can help you redefine your idea of effective teamwork, adaptive leadership or strategic change in your job?